We know that Petersfield landlords have a lot to consider, but at Williams of Petersfield, we aim to provide as much support and guidance as we can. If you struggle to stay in touch with regulations, rely on us to keep you informed and up to date. There is a new Act coming into effect this month, and it is vital you are aware of how it may impact your business. All landlords in the country should be mindful of the Homes (Fitness for Human Habitation) Act. This Act comes into effect on the 20th of March. Rental property is required to be fit for human habitation at the start of the tenancy and throughout the lease. From 20th of March 2020, the Act applies for all periodic tenancies. There are exemptions to the Act. If the tenant, or their possessions, have caused the problem, landlords are not required to resolve the issue. If a problem is down to an Act of God, the landlord is not responsible for the matter. If a landlord is unable to gain consent for improvement work, they will not be responsible for the problem. Also, if a tenant isn’t an individual, with examples of this including the tenant being a Housing Association or Local Authority, the landlord will not be responsible for improvements. The Act applies to the rental dwelling and common areas where the landlord carried an interest. The courts are responsible for determining if a property is fit for humans or not. The basis of the court’s findings will be made on Section 10 of the Tenant Act 1985. When a house is deemed unfit for human habitation, and the landlord is to blame, the court can order necessary improvements at the rental home. The courts can also order the landlord to pay compensation to the tenant. The amount of compensation required will depend on many factors. The impact on the tenant, the length of time the tenant has endured a problem and the condition of the rental property are all factors that will influence any compensation. Most landlords across the country, and in Petersfield, will not be affected by this new Act. However, with tenants having the right to sue landlords when a rental property is in poor condition, landlords must be aware of the new Act. If you are a Petersfield landlord and you require assistance in letting property, contact Williams of Petersfield, and we will be more than happy to assist you. If you are considering the rental market, or you just want an overview of the complete property market in England, you’ll be interested to note that one in five households currently rent privately in the country. With 20% of the market, this is a notable part of the market and with predictions suggesting that this will increase further in the next few years, it is easy to see why many people are considering the rental market. It should be stated that homeownership is still the most common tenure in England with 63% of households. There are 14.4 million homes in England with owner-occupation status and 34% of English properties are owned outright and 28% of properties in the country are currently under mortgage. There is also the social rented sector to consider and this accounts for 17% of households in England, which is equivalent to 3.9 million households. Statistics provided by the English Housing Survey offers an insight into the current market and recent behaviour. Something which will be of interest to investors is the fact that owner-occupation has dropped considerably from its peak in 2003, when it reached 71%. There has however been a consistent level since 2013/14 so it may be that the market is plateaued with first-time buyers replacing people selling up to move on or who pass away. 2013/14 was also the year when the number of outright owners was greater than the number of mortgage holders, a return which has remained true since then. While there may be many reasons for this status, it is likely that the aging population of the country has influenced this. After all, with people living longer, they have hopefully paid off their mortgage before now, which is reflected in the status of property owners. While shared ownership has been stated as a way of getting on to the property ladder, it only accounts for less than 1% of all owner-occupiers which equates to around 136,000 households. 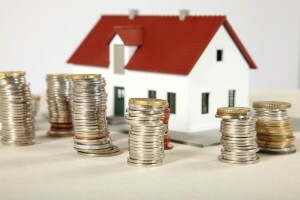 Another interesting issue from the findings is the fact that homeowners are getting under. In 2016/17, homeowners under the age of 35 accounted for 9% of the market. Just two decades ago, the same group accounted for 18%. In the same time-period, there has also been a significant increase in the size of the private rented market. In fact, this has accelerated greatly in the past 10 years, with 2 million households being added to the sector in this time, resulting in 4.7 million households being classed as private rental property in 2016/17. A variety of factors shape the property market, and therefore, so many investors have confidence in the rental market. There are so many signs that indicate this will be a market that continues to grow for years to come, offering confidence for people looking to enter the market. If you are a Petersfield landlord looking for support or you would like guidance on becoming a landlord in Petersfield, contact Williams of Petersfield and we will be more than happy to assist you. Being a landlord can be very difficult and there are many challenges that must be overcome, including legislative changes. In recent times, there have been notable rental fee increases and to the outsider, this will seem like positive news for landlords.